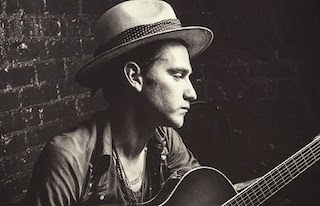 Though Nick Santino is probably best known for his sweet voice on tracks like “Baby Blue Eyes” from his former position as A Rocket To The Moon’s lead singer, his new music is just as great, if a little different. He’ll be playing on Warped Tour’s Acoustic Basement, and if you haven’t listened to his latest EP, The Ones You Meet Along The Way, now’s the time to grab a copy to make sure you can sing along to his set on Warped. Santino has taken a folksy, country outlook on pop/rock, which has really given the young musician a chance to show off his skills as a singer/songwriter. Since his tunes are a little mellower than the other bands you might be seeing on Warped, Santino’s well-crafted ballads will serve as some downtime between all your moshing and crowd surfing. That said, don’t forget he toured the world with A Rocket To The Moon and peaked at #4 on iTunes’ singer/songwriter charts with The Ones You Meet Along The Way, so it’s safe to say Santino will certainly put on a show. Make sure you stop by Warped Tour’s Acoustic Basement to see him in action! Haven’t you heard? We The Kings are back in full force with their latest release, Somewhere Somehow. The new album is even more upbeat and positive than their previous releases - if that’s even possible. What’s even better? They are set to play the entire Warped Tour this summer. 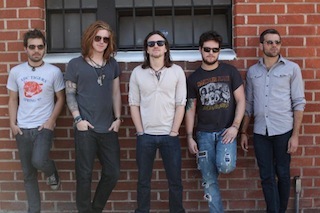 Since their start in 2007, We The Kings have had a few top 10 albums, and travelled all over the world. With hit songs like “Check Yes Juliet” and “Secret Valentine,” they’ve been Warped favorites for years. The band has even collaborated with the likes of Demi Lovato, on “We’ll Be a Dream,” from their sophomore album, Smile Kid. Although this isn’t their first Warped Tour, in fact it will be their sixth summer, they are definitely not a band to miss. So, don’t miss them. Push your way to the barricade, and scream-cry the words of “Secret Valentine” along with Travis. We promise you won’t regret it. 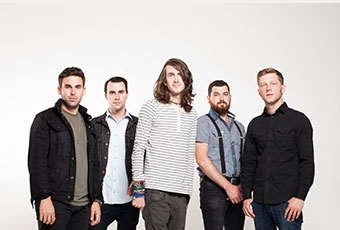 Mayday Parade has made an appearance on Warped Tour’s lineup for many years now, but whether this is your first time going to the popular summer festival or you’ve attended every year, the Tallahassee-based pop/rock group isn’t one to miss. With four studio albums of material to work from, Mayday Parade always puts on an energetic, confident set. From heavier songs like “Black Cat,” from the group’s first studio-length, A Lesson In Romantics, that always encourage some serious jamming and little moshing, to beautiful ballads like “Miserable At Best” or “Everything’s An Illusion,” the band can put on quite a show. Mayday, the affectionate nickname given by most devoted fans, will be sure to play all your new favorites from Monsters in the Closet, but they also typically include some throw-backs in their set. If you couldn’t make it to any dates on the band’s current tour or simply want to get as much Mayday as you can, this band should definitely be on your must-see list. Mayday Parade’s emotionally charged and spirited performances are some of the best on this year’s Warped Tour. 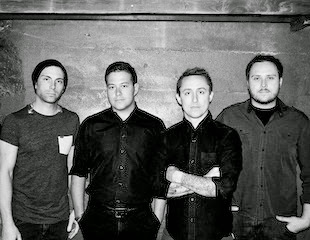 Really, we shouldn’t need to tell you why you need to go and see Yellowcard at Warped Tour, it’s just common sense. Not only do they provide the perfect dose of nostalgia with tracks circa ’03 such as "Ocean Avenue" and "Breathing," but they’ve succeeded in remaining relevant amongst all the pop/rock bands out there. Plus, they’ve announced that they are currently working on their new album and Warped is bound to be the best opportunity to get a sneaky peak as to what the new record is going to offer. You can fist pump, you can air-guitar and you can even air-violin (totally a thing), and if you don’t weep to "Only One" then you have no heart. Make sure you pack some tissues for Anberlin’s set at Warped, because it’s going to get emotional. This will be the last time ever that you get to see the Florida band take to the Warped Tour stages and deliver their anthemic, fast-paced, powerful alt-rock to your ears. 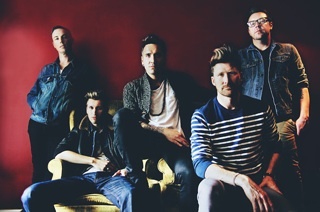 Anberlin announced at the start of 2014 that they would undertake one more tour, one more album and then lay the band to rest. If anything, there is no doubt that they are going to give it their all (as always), pulling out all the stops to make sure they leave a lasting impression, and won’t be forgotten once they’re gone. With a setlist that will undoubtedly include hits such as "Never Take Friendship Personal," "Godspeed" and "A Day Late" as well as blasting out tracks from their forthcoming, final album, we can’t think of a better way to give Anberlin one last farewell. At this year’s Warped Tour, you definitely won’t be catching performances by Bruce Springsteen, Madonna, or Nirvana. However, you WILL be able to watch grown up high-school heroes Bowling For Soup sing about them. Early 2000s mega hits like “1985,” Almost,” and “Girl All The Bad Guys Want” are guaranteed to have fans of all ages jumping up and down in excitement, screaming “THIS WAS MY SONG” at the tops of their lungs. Bowling For Soup should not be missed for several reasons. They put on an absolutely hilarious, killer live show. They’re charismatic, compelling, and just as entertaining as they were ten years ago. Lead singer Jaret Reddick’s vocal performance sounds almost identical to the CD, making it easy to close your eyes and remember nights alone in your room blasting the band from your boombox. Reddick was also recently selected to be the new voice of Chuck E. Cheese. If that isn’t enough to get you to Bowling For Soup’s show, I don’t know what is. If you want to relive your glory days (and you totally do) of baggy cargo shorts, Chuck Taylor's, chain wallets, and wrist sweatbands, Bowling For Soup’s set is the absolute place to be. Your friends won’t judge you for being there watching them, because honestly, they’ll probably be there too. 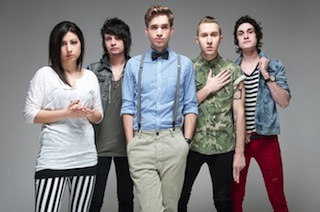 Warped is the ultimate summer tour and, well, The Summer Set has summer right in their name. Their music basically embodies the season; just listen to the lyrics of their latest single, “Lightning in a Bottle.” It’s a straight up summer anthem that tells you to throw your heart in the air and get busy in the backseat. Their latest album, Legendary, is filled with songs like this that make you want to scream the lyrics at the top of your lungs with your friends. The Summer Set is known for being a carefree bunch who just want to have fun doing what they’re doing. Their live show is a big sing along dance party and people love them so much they won the Macy’s iHeartRadio Rising Star contest. If that doesn’t make you say, “Hey, I should probably check them out,” then I don’t know what does. 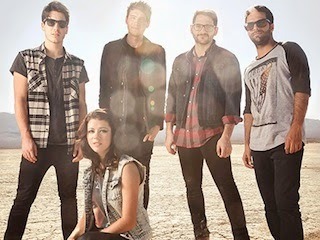 We Are The In Crowd have had a downright awesome year so far. With their best album yet and their first headlining tour that saw them selling out shows, it’s safe to say WATIC are in their prime. What better way to continue their epic year than on everyone’s favorite summer tour? Frontwoman Tay Jardine has got some serious pipes and the band takes the stage with an infectious energy. They’ve got two albums (and an incredible EP) full of fresh, pop/rock songs to get you on your feet and their back and forth girl/guy vocals keep things interesting. Their latest recent album Weird Kids, released earlier this year, is arguably their catchiest record to date and you’ve got plenty of time to let every song on there make its way into your brain. You’ll want to be singing along loudly with the rest of the crowd they’re sure to draw. Wouldn’t you like to be one of the cool kids? Echosmith is one band you definitely DON’T want to miss this summer at Warped Tour! 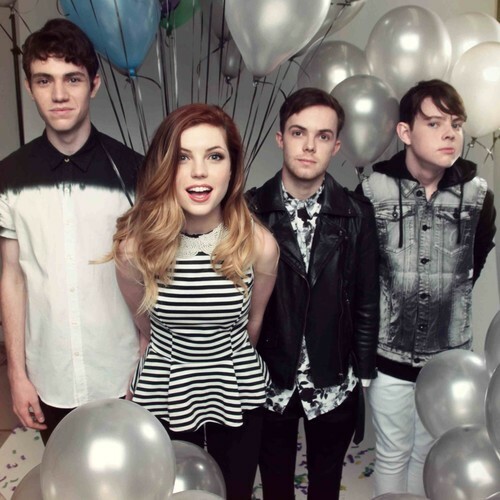 This indie quartet is made up of the Sierota siblings; Sydney (vocals/keyboard), Noah (vocals/bass), Jamie (vocals/guitar), and Graham (drums). These four kids from LA sure know how to put on a show and keep you coming back for more. For a bunch of teens, they sure know how to rock the stage. Sydney – otherwise known as the Sierota sibling who’s always taking selfies- always jumps around while balancing playing the keyboard and singing, and they always leave you entertained. Their indie/ alternative sound is sure to keep you dancing and up off your feet! Fresh off their 2013 release of, Talking Dreams, Echosmith has been touring non-stop all year and playing hits off their latest record such as, “Cool Kids,” and, “Come Together.” Their unique sound, paired with their effortless talent, makes for an unforgettable set. Their sound isn’t the only thing that’s unique – these kids also have a huge knack for style! You’ll be walking away as one of the cool kids. Make sure you get a chance to catch their set this year at Warped because you’ll regret it if you don’t. For the first time in five very long years, The Maine will finally return to the Warped stage. Although they’ve embarked on several tours since 2009, nothing can quite compare to the energy and excitement of Warped. John, Pat, Kennedy, Garrett and Jared have been a staple of the pop/rock scene since their first full length Can’t Stop, Won’t Stop dropped in 2008, giving the world some of the sweetest and poppiest music in the scene. It seems like every album they’ve released since then has been miles better than the last, almost as if the band’s sound is actually growing up with the listeners. Their latest full-length release, Forever Halloween, showed just how versatile but cohesive the band can be, giving listeners a sense that this is what the band was aiming for since the beginning. Along with their albums, The Maine’s live shows have progressed in the best possible way. They’re somehow able to capture the current attitude and spirit of their songs, while going back to their extra poppy fun days without a hitch. You can feel in the crowd how much this band has impacted everyone’s lives through their ever-changing sound and message. It will be interesting to see just how different their summer on Warped will be this year compared to their last stint. I’m willing to bet it will be a moving, yet crazy fun time.